Last week the UK Parliament passed an amendment to the Sanctions and Anti-Money Laundering Bill, which introduces measures to tackle criminal activities, including money laundering across international finance. The amendment includes a requirement for the Overseas Territories to implement public registers of beneficial ownership by the end of 2020. This is not a new issue. Concerns, focusing on a small number of people abusing international financial centres, have been discussed around the world in recent years. 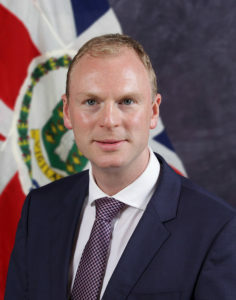 When the issue was last debated in the UK’s House of Lords, the amendment was successfully defeated after Lord Ahmad, the UK’s Minister for the Overseas Territories, set out the UK Government’s position on both the strength of regulation in the Overseas Territories, including BVI, and on the constitutional responsibility for Overseas Territory Governments to effectively regulate local financial services. This time, the UK Parliament decided to proceed with the new amendment. UK Ministers made clear that they do not want to legislate directly for the Overseas Territories. However, the UK Government had to listen to the strength of feeling and respect the will of the UK Parliament. I recognise that this is disappointing. As I have made clear previously, I believe that the BVI is a well-regulated jurisdiction with an effective register of beneficial ownership (BOSSs) that is accessible by law enforcement. Since 2013, BVI has made it clear that the jurisdiction is committed to implementing public registers when they become the global standard. The debate in the UK Parliament will continue. The Bill, including the new amendment, will go to the House of Lords next. Whatever the outcome of this debate, the BVI should approach it with confidence. The BVI has strong and effective regulation of its financial services industry, which contributes to global trade. I know BVI shares the aim that the jurisdiction should never be a place for those wishing to hide criminal activities. BVI regulation and the industry have consistently shown that they can keep ahead of global trends. The BVI faces a number of challenges and opportunities after the devastating events of last year, but we should be confident in BVI’s recovery. The Recovery and Development Agency Board is in place and the recovery has the continued backing and support of the United Kingdom, including the UK Prime Minister’s commitment of up to £300 million of loan guarantees to support access to finance. With clear vision, a plan for the future to grow and diversify the economy for the benefit of all, and the right recovery and support structures in place – the Virgin Islands’ can be confident in its future. As Governor, I will support the Government in advancing this vision and, as I have since taking up my role, support the advancement of the Territory and the people of these beautiful Virgin Islands.